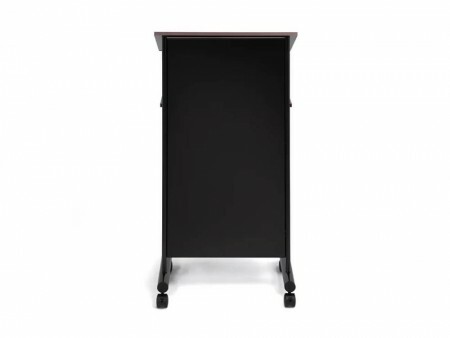 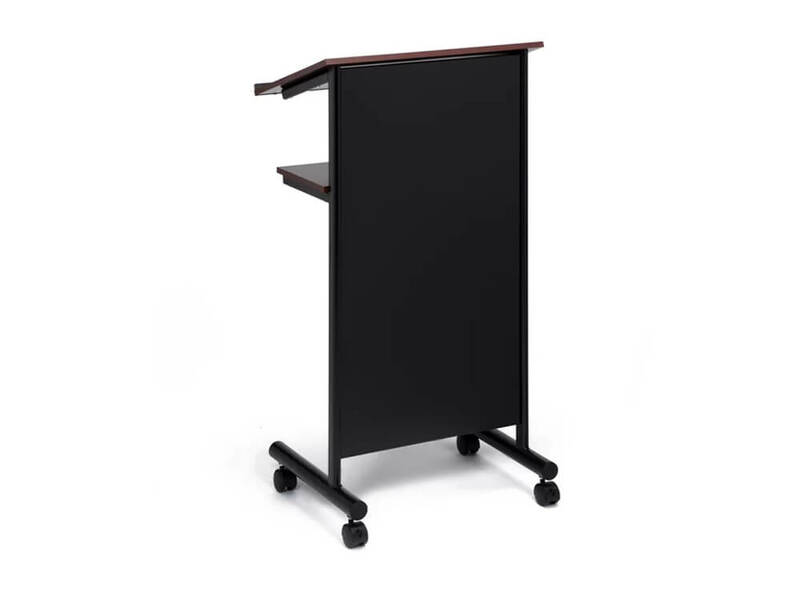 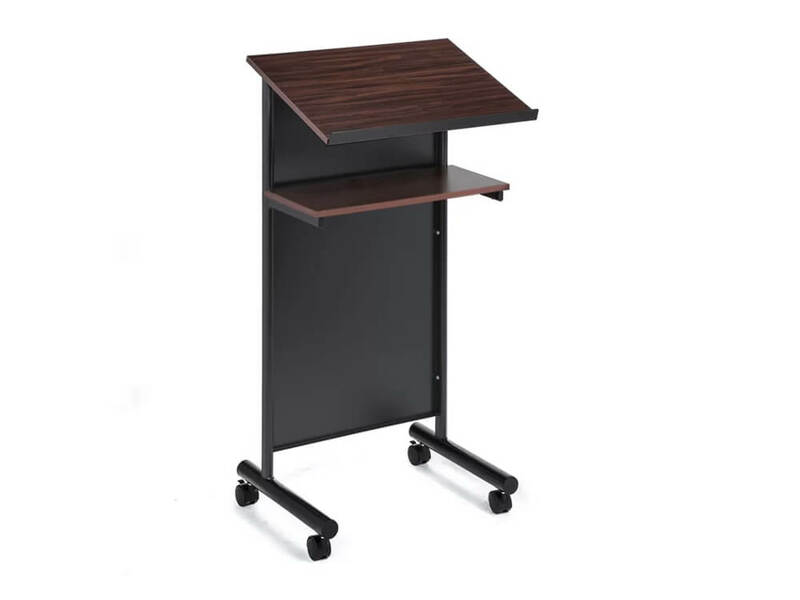 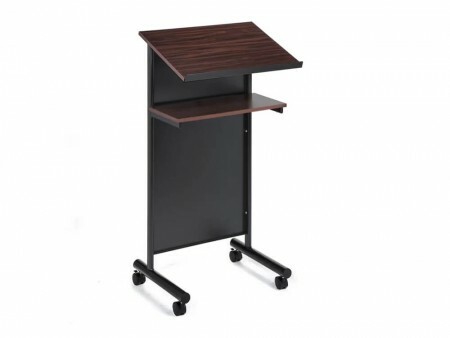 This beautiful podium will serve your professional needs! 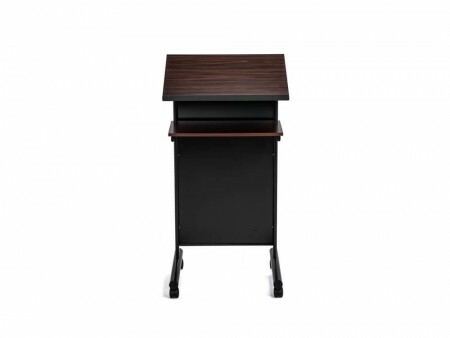 It is a lovely full podium made of manufactured wood and iron. 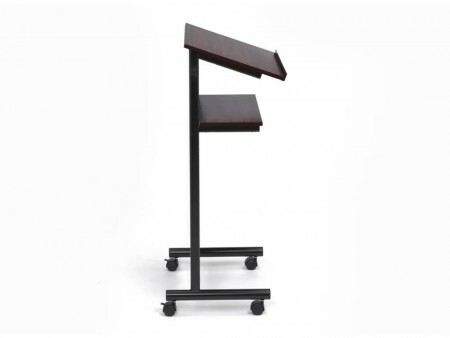 It is rust resistant and includes a shelf and four locking wheels!